I don’t typically write a post specifically for my denomination, but I’m making an exception today. In the past few weeks, I’ve been with Southern Baptists in Maryland, California, Ohio, North Carolina, and Virginia. They’ve been college students, pastors, church planters, laypersons, and denominational leaders. I’ve been reminded in these weeks of how much Southern Baptists mean to me, so I’m writing this thank you note to you. Thank you, Southern Baptists. I don’t know most of you, and you don’t know me—but I owe you. You were my first church family, in a church in Southwestern Ohio. You graciously loved me as a teenage new believer, gave me opportunities to serve and grow, and tolerated me when my youthful zeal crossed the line into arrogance. My first paycheck as a pastor came from you – from all of you, actually. My first church was quite small (19 people on the first Sunday), and only the cooperation of Southern Baptists allowed me to serve full-time. My $200 weekly paycheck came from the combined funds of my church, my local Baptist association, the Home Mission Board (now NAMB), and the State Convention of Baptists in Ohio. I learned the value of cooperation early on, and I’ve never forgotten its blessing. I graduated from a Kentucky Baptist school (University of the Cumberlands—then Cumberland College) and a Southern Baptist seminary (Southern Seminary). All of my education has been partially funded via the Cooperative Program and Southern Baptists who gave sacrificially to their churches. 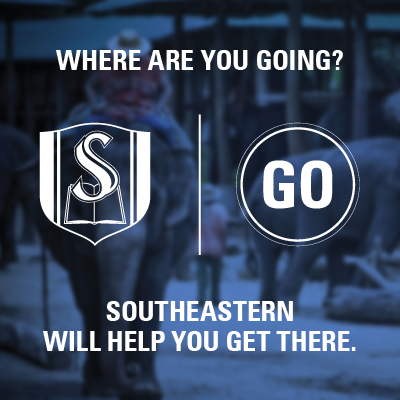 Now, I serve with both Southeastern Seminary and the International Mission Board, so I still reap the benefits of generous Southern Baptists. Some of my former and current students are serving as church planters and pastors in North America and around the world—all supported at some level by Southern Baptists and the Cooperative Program. They don’t know all your names, but I can vouch for them that they take seriously their responsibility to reach non-believers, disciple believers, and plant healthy churches. You make it possible for them to fulfill their callings all around the world. In fact, I pray that they understand the gift they have in Southern Baptists in the local church pew (or whatever the seating may be in your church). We’re hardly a perfect denomination, and present-day realities will continue to force us to work together most efficiently and effectively – but we can still do more together than we can do alone. I pray that leaders of the smallest SBC church plant and the largest SBC megachurch recognize that we really do need each other. So, Southern Baptist pastor, I thank you for leading your church to work cooperatively with all of us. Southern Baptist layperson, thank you for your faithful giving to the Lord’s work. I’m privileged to do what I do because of you. Certainly a heart-felt appreciation expressed, Chuck! I am appreciative as well! Amen Dr. Lawless. Well said. We have benefited greatly from you, Dr. Lawless. Thankful for your ministry, all for His Glory. You are a faithful brother to many whose name you don’t know too. As one of them, I thank you.